Bank of Ireland Business Banking is committed to working closely with new and existing customers to enable them to develop and grow their chosen franchising business. 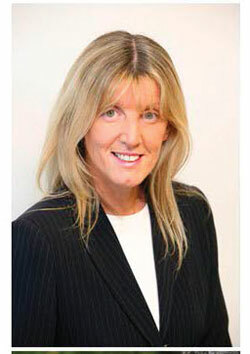 Margaret Nolan is Business Manager at Bank of Ireland Business Banking, which has 600 experienced business bankers in over 270 branches nationwide, which are available to support the franchisor and franchisee in any aspect of lending for a franchise. There are currently over 270 different business format franchises in Ireland generating turnover of 2 billon euros and employing in excess of 25,000 people. These statistics prove the importance of franchising in our economy where continuing sector growth presents opportunities for people who wish to own their own business and work for themselves but not by themselves. The combination of a strong franchise with a proven track record and an ambitious franchisee makes good business sense from a banking point of view. Failure rates for new franchise businesses are much lower than independent start ups making them a much more attractive lending prospect. A proven track record of operating profitably in the Irish market through a pilot operation should be strong enough for both a bank and the potential franchisee to be comfortable with the investment. Bank of Ireland Business Banking recognises that franchising has become an integral part of our economy, which has experienced exceptional growth in recent years and as such we understand the importance and development potential of this sector in Ireland. For these reasons Bank of Ireland Business Banking is committed to working closely with new and existing customers to enable them to develop and grow their chosen franchising business. A lender will expect a potential franchisee to provide a portion of the total investment costs as equity, ranging from 30 per cent for established franchises to 50 per cent in the case of new franchises. 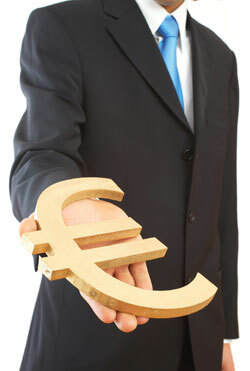 The lending package can be a combination of asset finance, term debt and overdraft facilities. Bank of Ireland Business Banking can fund up to 70 per cent of set up costs for franchisees and the package can be a mix of all of the above products. Detailed information regarding the particular franchise and its franchisor. Market and industry analysis - detailed market research supports the proposal. The competition and how many like businesses operate in the market. Personal information about you and your own business background. Financial assessment outlining the costs of setting up, your contribution, how much you wish to borrow and what security you have to offer. Also a set of financial projections, cash flow forecasts and profit & loss projections should be included. Business assessment: is this a good business concept, tried and tested and proven by a profitable pilot operation? Together with the detailed business plan, the lender will expect that the potential franchisee has done their homework, has a deep understanding of how the business works and is ambitious and enthuastic about the concept. It is also important that the potential franchisee has approached existing franchisees to ensure that a good franchisor/franchisee relationship exists, which offers high quality support and ongoing training. A well researched local marketing plan must be in place to attract customers. Security can also be required by the bank dependent on the amount borrowed and how much is being invested as equity. It is important that independent legal advice on the legal agreement is sought before signing. This agreement should outline the obligations of the franchisor to the franchisee, and also the obligations of the franchisee to the franchisor. It is important that professional advice is obtained from a solicitor familiar with franchising.